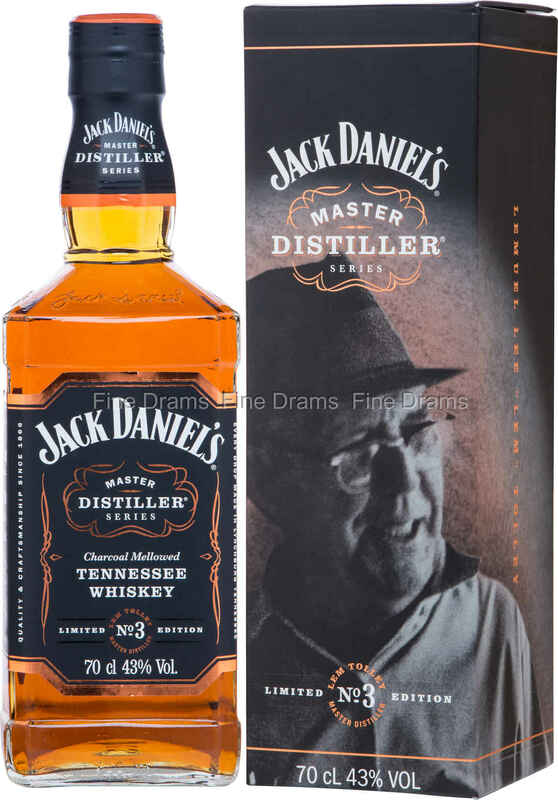 Another superb limited edition whiskey from Jack Daniel’s. This expression forms part of the highly rated Master Distiller series which celebrates the Master Distillers that have taken the reigns at the famous distillery throughout its history. This particular expression is number 3, honouring Lemuel “Lem” Tolley, who succeeded Jess Motlow as the third Master Distiller. Tolley was the grandnephew of Jack Daniel himself, and took over at a very different distillery to the one we find today. At the beginning of Tolley’s reign the distillery was a tiny operation, but the two articles published in Fortune and True magazines rapidly and considerably increased Jack Daniel’s profile. Tolley would end up serving as Master Distiller for an incredible 23 years. The whiskey itself is light, and supple in body, with some custardy notes, and flavours of toasted nuts, dried fruit, spicy oak and sweet corn. It is classic Jack Daniel’s, through and through, but benefits from the higher proof of 43% ABV. A fitting tribute to one of the great men in the Jack Daniel’s story.